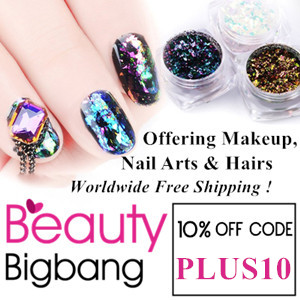 We need the pretty on our nails when the sun is out and one of those pretty things are these eye catching flakies. These flakies are from Born Pretty Store and are slightly larger in size than these flakies I tried before but they still make for some stunning nail art and have lots of depth to them depending on how much you layer them. These also have a green to blue to purple to pink shift. 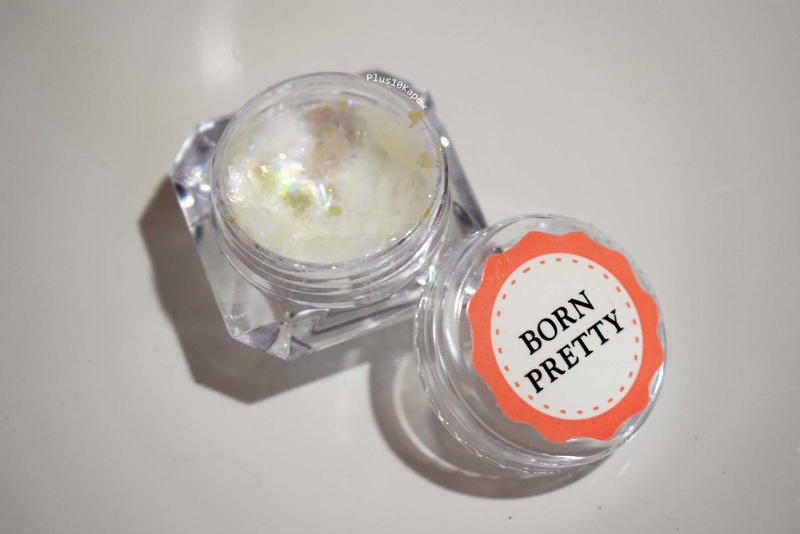 They come in a little pot and come with a sponge applicator and even though the weight is only 0.2g, you get a lot in there. These look fantastic applied sparsely or with full coverage. 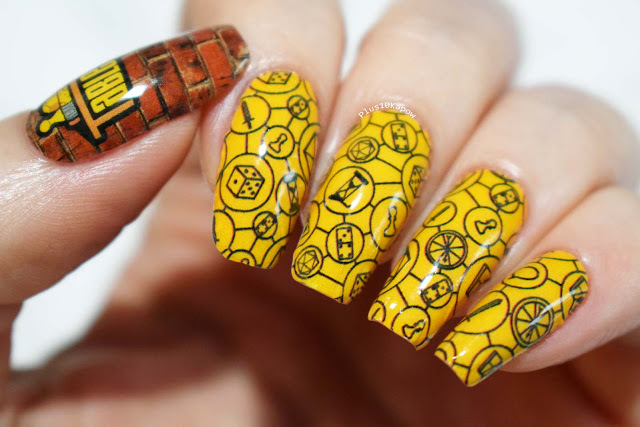 They lay flat and don't curl up with fast dry topcoat and can be worn with standard nail polish and gel. They are fairly topcoat thirsty, I am wearing two coats in the photo but it honestly could have done with a third. 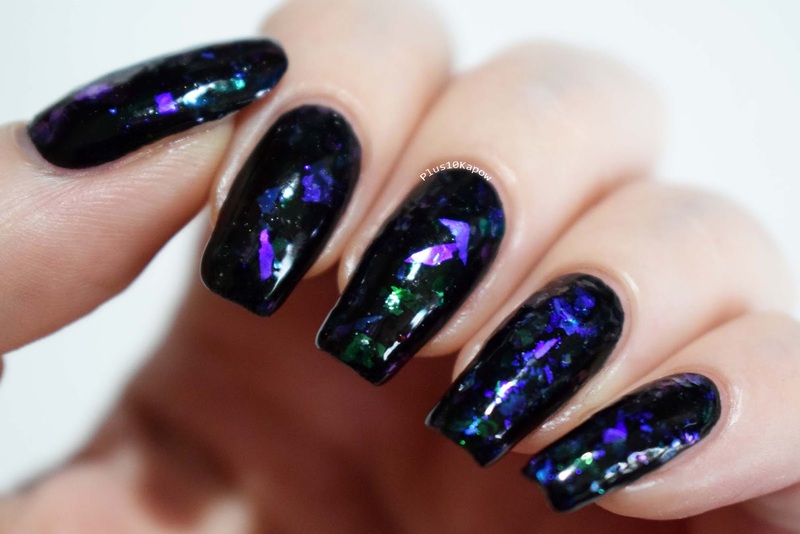 I did originally try these over a light colour, kind of trying to stray from my usual 'flakies over black' thign that I do, but honestly, it did not look right. It may have been my execution of it but I would recommend using these over dark colours to get the desired look. You can find these here for £1.82/$2.59, this is colour #4 and there are 4 other colour versions available. 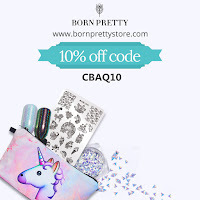 Don't forget to use my code CBAQ10 for 10% off all non sale items.